This weeks quote comes from one of the great teen flicks of the 80’s, Ferris Bueller’s Day Off. “The key to faking out the parents is the clammy hands. It’s a good non-specific symptom. I’m a big believer in it. A lot of people will tell you a good phoney fever is a deadlock, but you get a nervous mother, and you could wind up in a doctor’s office – that’s worse than school. You fake a stomach cramp, and when you’re bent over moaning and wailing, you lick your palms. 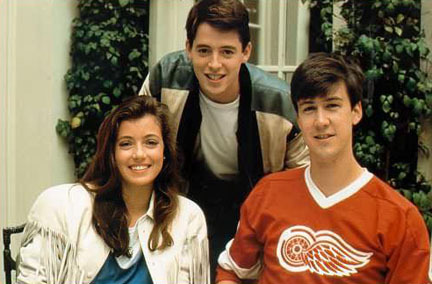 It’s a little childish and stupid, but then, so is high school” – Ferris Bueller, from Ferris Buellers Day Off.